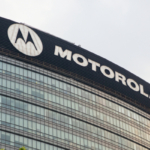 Highland Wireless: Providing In-Building Distributed Antenna Systems (DAS) > Blog > Blog > What Do Kenwood Two-Way Radios Offer? 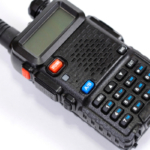 When looking for the best two-way radio there are a number of brand names to check out and consider. 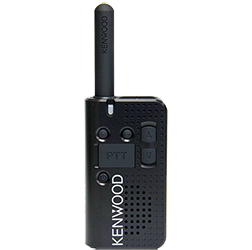 One of the larger companies offering reliable two-way radios is Kenwood Corporation. As an authorized Kenwood two-way radio dealer, we are clearly fans of the company’s products. Perhaps Kenwood offers the right radio communication system for you and your business. Learn more about Kenwood two-radios, including who the company is and all that they have to offer. In 1963, just three short years after their original name change, the company expanded to the US, opening its first overseas office in Los Angeles, California. This move proved rather beneficial for the company as they continued to expand and grow partnerships within the industry. Success in the US sparked the idea to create a more American-sounding name, which is how the brand became known as Kenwood Corporation. The name derives from two different things. First, “Ken” was chosen because it represents a name accepted in both Japan and America, plus “Kenmore Appliances” had already proved to be a successful name and they too utilized the root “Ken.” Secondly, “Wood” comes from a reference to both a durable, reliable substance and Hollywood, a famous location near the company’s first American office. It didn’t take much time for the name Kenwood to surpass the name Trio in popularity. And so in 1986, the brand changed their name worldwide from Trio Corporation to Kenwood Corporation. It was in 1978 that Kenwood released their first analogue two-way radio, and in 1999 they released Pro-Talk license free two-way radio. In 2008, Kenwood globally launched NXDN digital two-way radio system. Since then the brand has remained busy creating the latest in two-way radio systems, and much more. 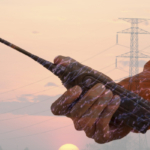 Kenwood has developed a large fan base with their cutting edge two-way radios. There are many different industries that rely on this brand to successfully communicate, including construction sites and cross state fleet drivers. The two-way radio options offered by Kenwood are varied; some include many fancy bells and whistles while others stick to the basics. If simplicity is what you are seeking, the Kenwood PKT-23K is small, light weight and very dependable. This radio is capable of lasting 15 hours on the same charge, plus it comes with a Micro USB port perfect for all of your programing needs. There is also a 3.5 mm audio jack, granting more options when it comes to using this two-way radio with compatible accessories. If you are looking for a two-way radio that offers more high tech options, the Kenwood NX-300 UHF is a pretty big deal. This radio includes a larger screen than most comparable models, allowing you to see twice as many characters at once. The NX-300 offers a lot of programmable options for more personalization. It also comes packing a lot of internal memory, allowing this device to handle numerous channels and frequencies. What Do People Love About Kenwood Two-Way Radios? Kenwood radios are meant to stand up to a lot of challenges, including dusty construction sites, and distracted drops. Some models even offer waterproof features that make destruction close to impossible. Kenwood strives to keep competitive pricing as a top importance, granting customers with a great radio for a fair price. Kenwood radios are made with the user in mind. When working at a job site or out driving the roads you don’t want a big, bulky radio getting in your way. Kenwood radios are made small and lightweight with easy grip for increased comfort. Plus, there are a number of accessory attachments to make two-way radios even more accessible and easy to use. It’s never good if the battery on your two-way radio doesn’t hold a charge throughout the day. Kenwood battery life tends to be very good, lasting around 13-15 hours per charge. 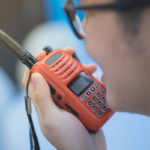 There are many two-way radio accessory options that can make any job easier and more convenient, thus increasing productivity. Yet, not all two-way radios are compatible with the latest accessories. Most Kenwood models come with features that make them compatible with most phone cables and accessories. Contact Highland Wireless today to learn more about your options with Kenwood two-way radios. We look forward to helping you find the best radio for your needs.